The world's largest banyan tree is followed by a cult of worshipers. 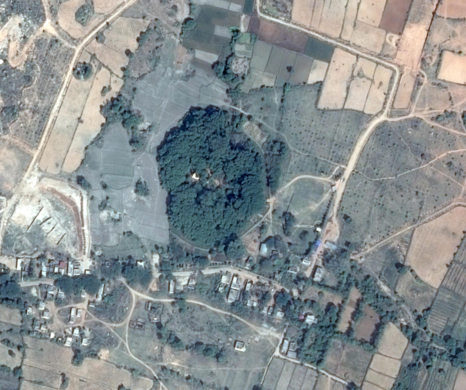 Gazing upon a satellite image of a dry region of southern India, you will observe what appears to be an entire forest, spanning more than five acres of land and dwarfing the surrounding homes and buildings. 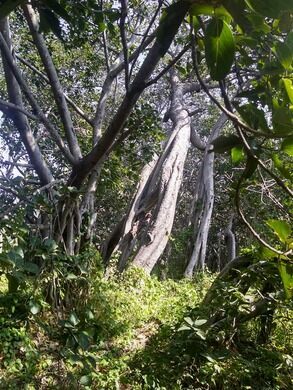 Known as Thimmamma Marrimanu, this forest is no ordinary forest, but rather a singular tree, the largest banyan tree in the world. Rock-cut cave complex filled with ancient Buddhist artwork. A towering work of stone and philosophy that was constructed using ancient Hindu science. This 17th-century mausoleum is topped with an acoustic marvel. 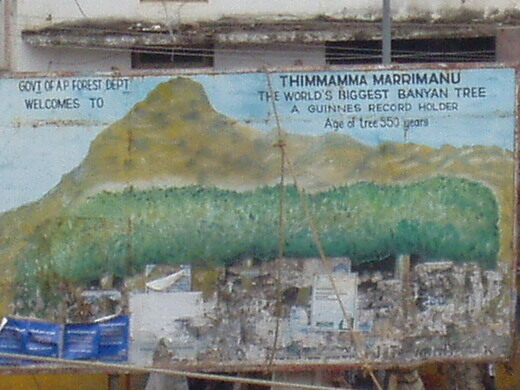 According to local mythology, Thimmamma Marrimanu was created in 1434 when an Indian widow named Thimmamma committed sati, a Hindu practice where a woman immolates herself on the pyre of her dead husband. 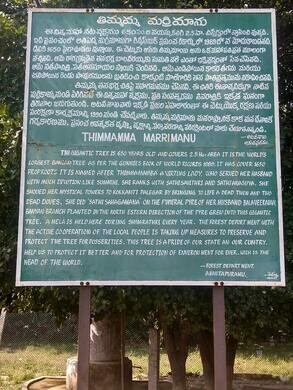 According to local mythology, her sacrifice gave life to the massive Thimmamma Marrimanu (Thimmamma Banyan Tree), which purportedly sprung from the northeastern pole of the pyre. 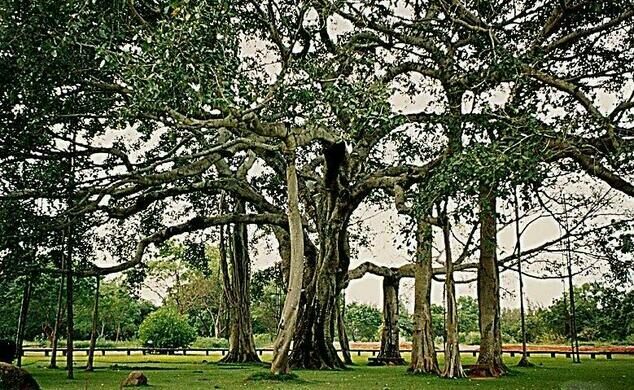 The colossal banyan tree, now more than 550 years old, contains a small temple at its base and is still worshiped to this day by the local community. The tree is strongly believed by its cult of worshipers to produce healthy children for its most ardent (and barren) believers. 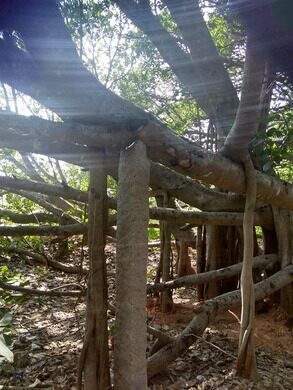 Unlike most tree species, the banyan grows from the top down. Seeds in the tree’s branches allow a tendril to drop to the ground, expanding the banyan’s reach. These 1,100 prop roots are what make the singular tree appear to be an entire forest. Along with this top-down growth, Thimmamma Marrimanu experiences an even more bizarre biological phenomenon. The tree is kept alive through coevolution; fig wasps lay their eggs in the tree’s figs, helping both species to survive and expand. Perhaps the tree does have magical qualities after all. Visit towering forts and palaces, explore local villages, experience Diwali with an Indian family, wander centuries-old ruins, learn to cook in a family home, and witness the sunrise over the Taj Mahal and the River Ganges on this immersive tour of Delhi, Rajasthan, and Varanasi. India’s only Brain Museum displays over 200 fascinating ways that your brain might kill you. One-room museum dedicated to India's most enigmatic mathematician. World's tallest monolithic statue has served as a pilgrimage site since its completion in 993 CE. The painted and decorated towers of this Hindu shrine were once the tallest structures in one of the oldest cities in India. A Canadian port town is oddly home to two of the largest tree burls in the world. 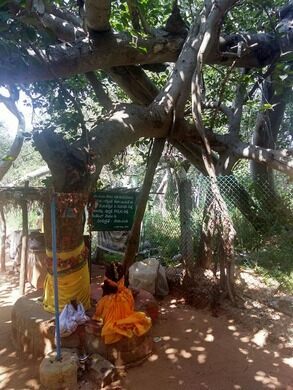 This sacred fig tree with a link to the Buddha is one of the oldest human-planted trees in the world. After four years of grasshopper plagues, this chapel was erected as a plea to God to make them end. The world's largest "Christmas tree" is illuminated by hundreds of lights stretching 2,000 feet up the slope of Mount Ingino.